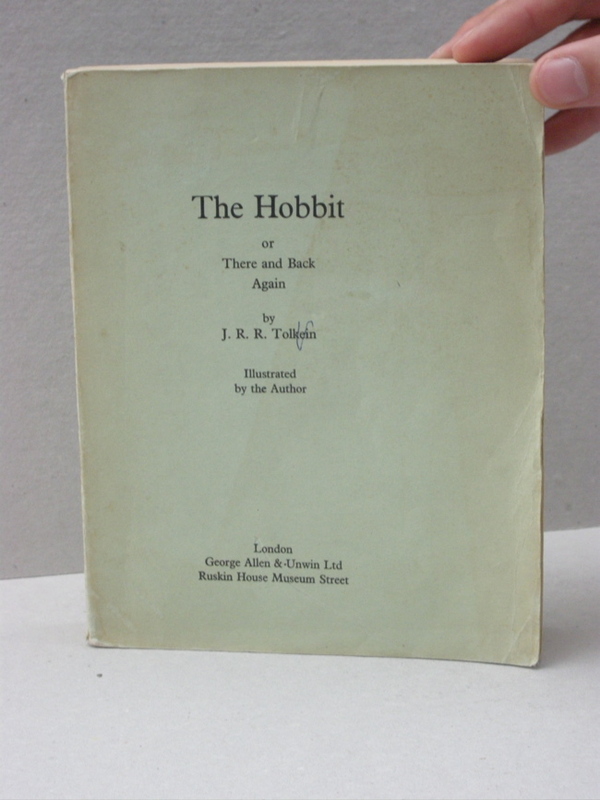 J.R.R.Tolkien the Hobbit proofs are very rare to find and extremely rare Tolkien collectables. 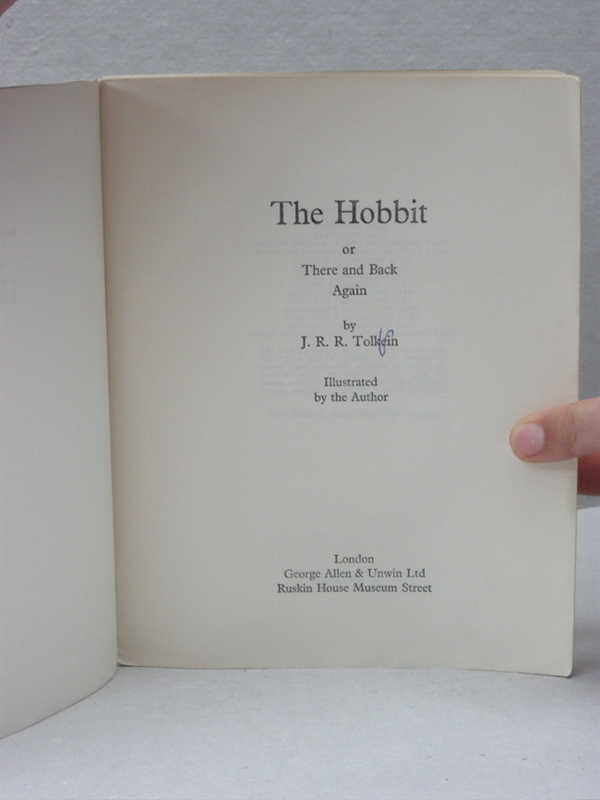 This one with tolkiens name misspelled on the front cover and title page. 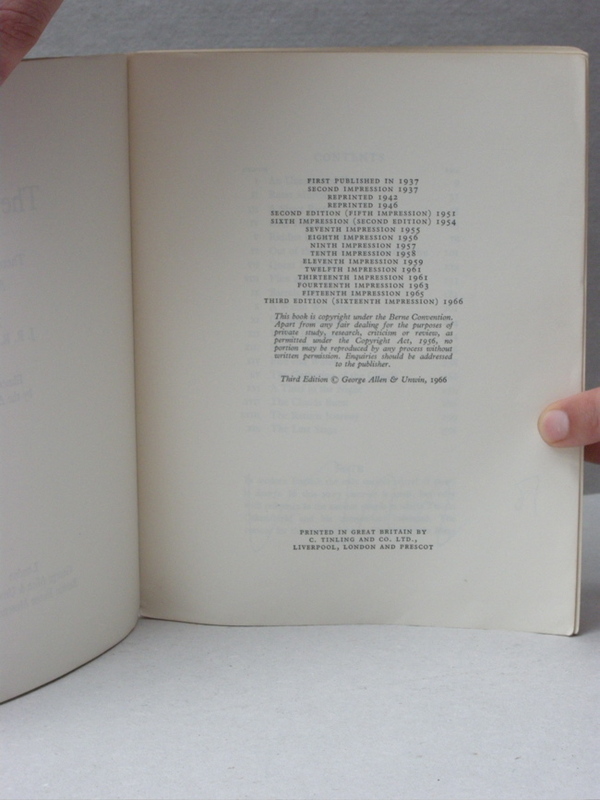 Published by Allen and Unwin, London, 1966. 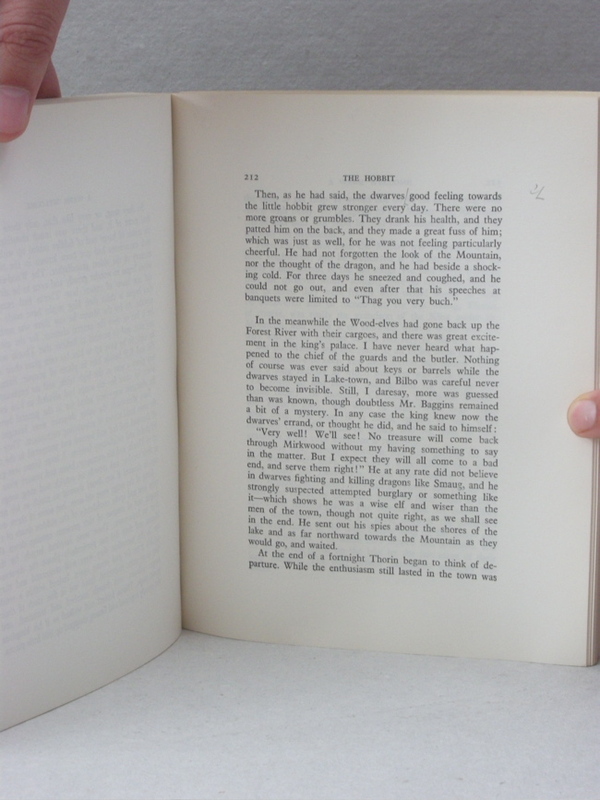 320pages. 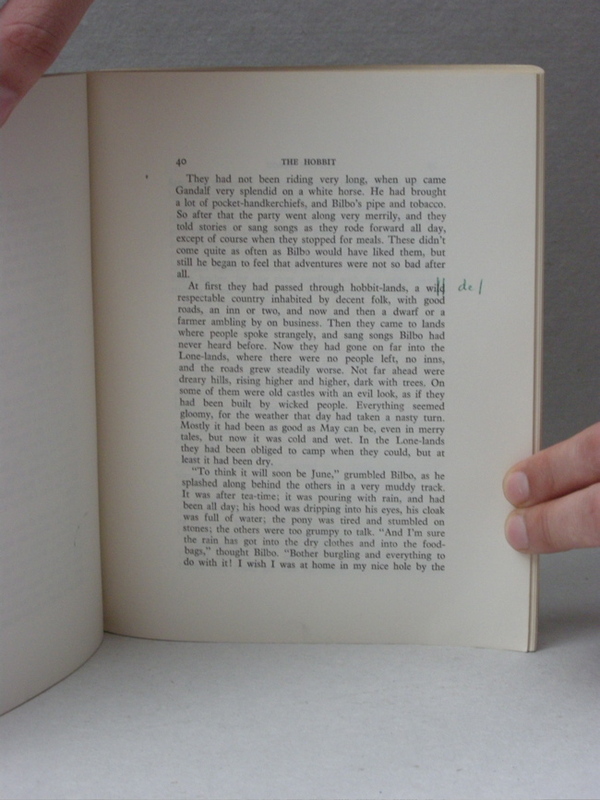 Bound in green paper with printed name and publisher on front and handwritten on spine. 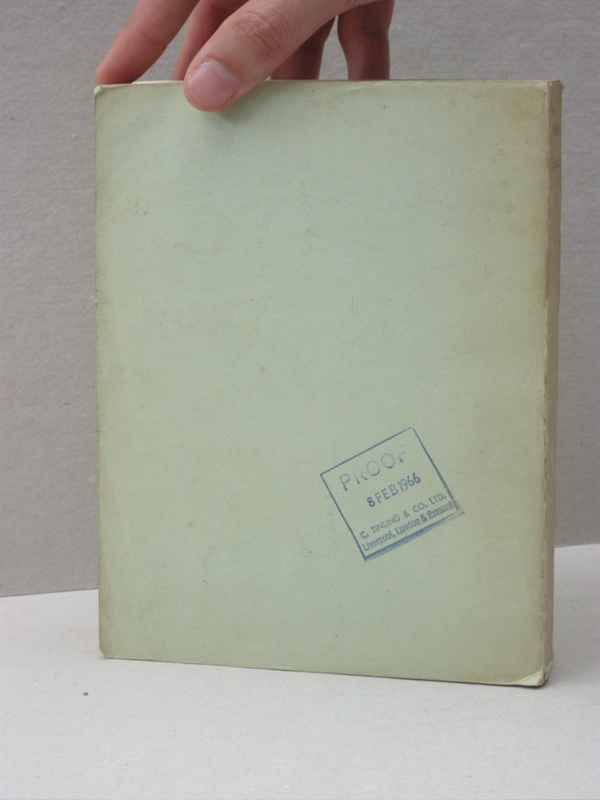 With Proof stamp on back - PROOF 8 FEB 1966. There are only ever a very small amount of these made and they are almost never for sale. 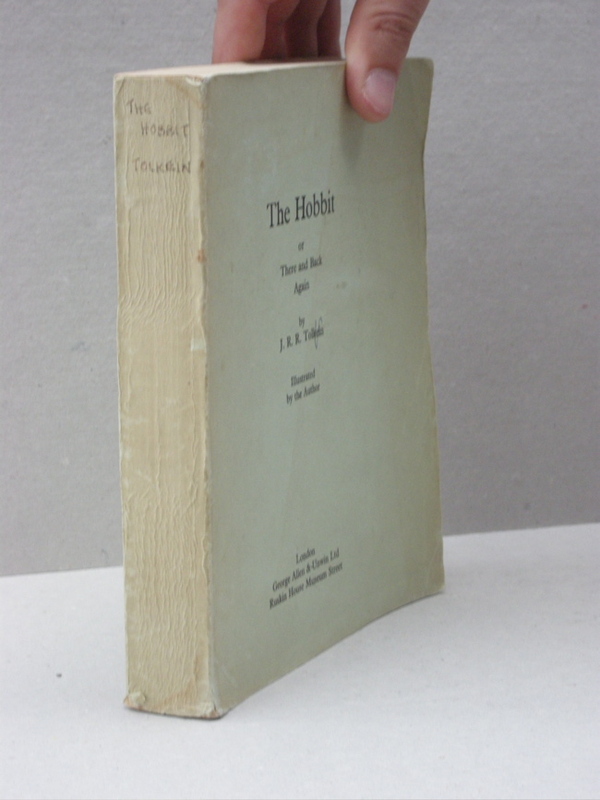 The exterior green paper shows some wear to the corner tips, signs of discoloration, and some cracking and minor fraying at the spine, but no loss to speak of. Some light shelfwear, but in very good minus condition overall. 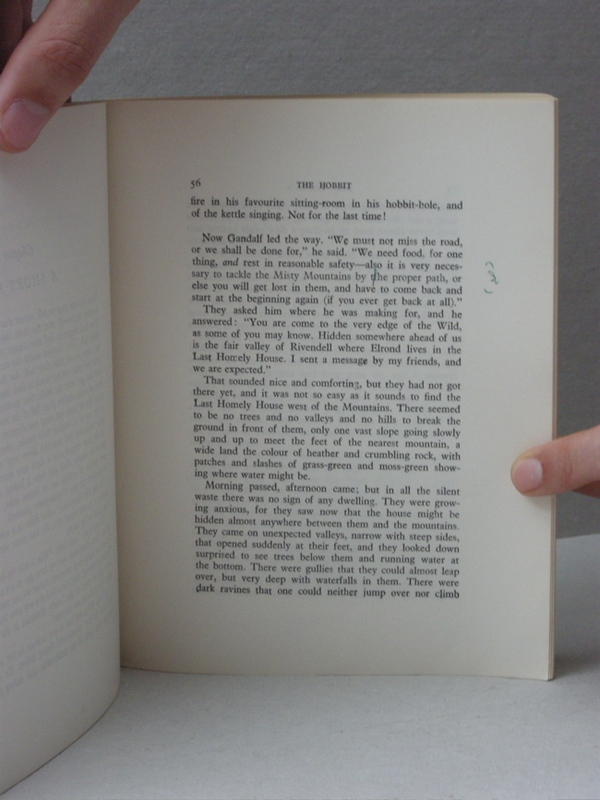 The text block is clean and looks unread, with the binding still tight. 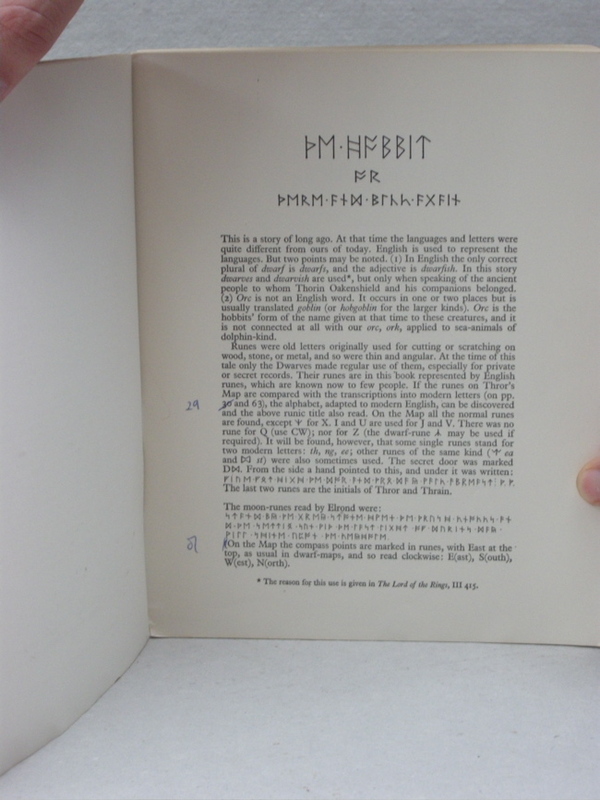 This proof copy is the ultimate Tolkien Collectors Dream.